Company is the leading manufacturer of the orthopedic and medical products for medicine as well as for sport purposes. Our devices are 100% Polish products manufactured in factory units in Poland. The company was founded in July 2006 in response to the market demand, which lacked modern orthopedic products of high quality. Advanced and the latest production technologies distinguish us from the competition, and a well-equipped technology park allows us to create a product that reflects the needs of the customer. Every day, we produce hundreds of braces and accessories that are destinated to our distributors and patients in Poland and in foreign countries. Thanks to innovativeness and guarranty for the safety, our brand is getting more and more recognizable internationally – including North and South America, Qatar and Australia. WHAT ARE BENEFITS OF COOPERATION WITH REH4MAT? We made a permanent discount for regular customers and extended invoice payment period. The longer you are with us, more you order, more discount you get. The cooperation with us is and always will be resistant to exchange rate fluctuations or declines in stock markets. We guarantee that our prices will not increase! Cały proces produkcyjny odbywa się w Polsce, dlatego zapewniamy 100% gwarancji niskich cen, przy jednoczesnej wysokiej jakości naszych produktów! We know how value your time is, that’s why we’re going to work right away. We are characterized by a high level of liquidity thanks to the comprehensive service of our clients. We have dedicated specialists for specific activities. Each of them has extensive experience in a specific field. We create products for individual orders, so if you need we will do it for you! That’s what characterized us is flexibility, speed and accuracy. We have a large production and logistics capabilities. Our products can be found on store shelves not only in Europe but also around the world! We don’t have any minimal order quantity. You can order even one product and we will ship to any place in the world. 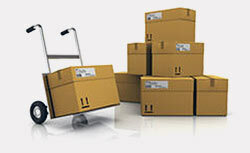 We cooperate with three different couriers. Ordering on the European Union area you are exempt from the customs duty which will reduce the delivery time. Taking care of each detail, our technologists and designers use only the most durable and skin-friendly materials what influences on the quality of our devices. The basic element of our company development is to introduce new products and technical innovations as well as maintaining. Without them it is difficult to think of products or services that achieve the growing demands of consumers. In comparison with our competitors, we provide our customers the long warranty period for our devices. Products purchased in REH4MAT can be exchanged or returned not later than 6 months before the date of purchase. Only unused, complete, returned product in their original packaging with a set of documents (warranty card, instructions for use) are subject to return or exchange. In the case of damage to the unit packaging, the Manufacturer reserves the right to charge the buyer’s refund costs. Only products from the current REH4MAT offer are subject to return or exchange. Products sent back without prior agreement with the REH4MAT Sales Department or non-compliant requirements mentioned in points 3 and 4 will be sent back to the buyer at his expense.